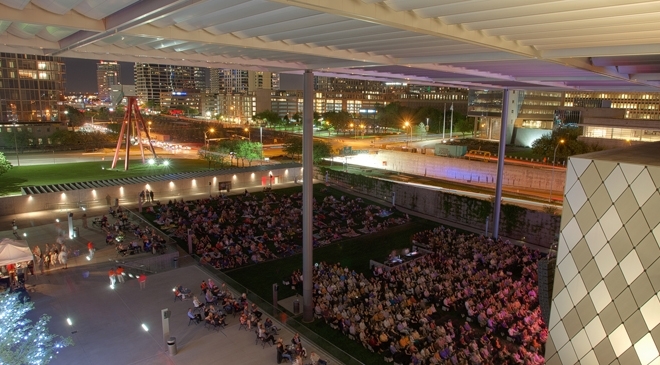 Named after the first woman to be elected mayor of Dallas, Annette Strauss Square is a relaxed outdoor performance venue unlike anything else found in the city. Strauss Square has hosted a wide variety of large-scale events including world-famous musicians, yoga sessions, brunches and art installations. With a sweeping lawn, patios, room for both lawn and chair seating and the expansive main stage, Strauss Square is the perfect place to invite 2,000 of your closest friends and family for those larger-than-life events that demand an open-air setting on a grand scale.